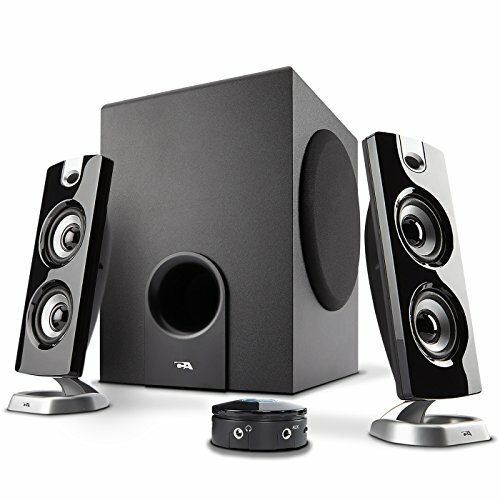 The CA-3602 subwoofer speaker system is our best selling 2.1 speaker set. 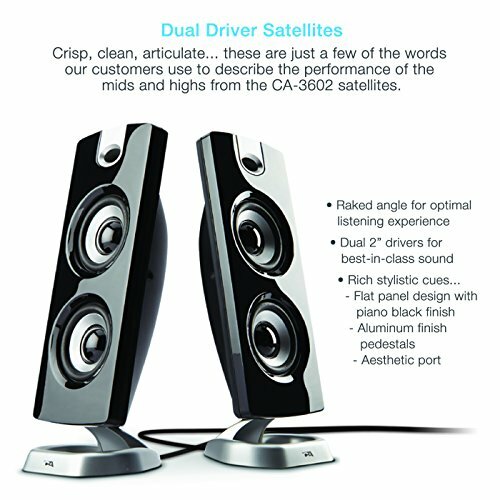 It a powerful audio solution delivering great sound for the home and office. 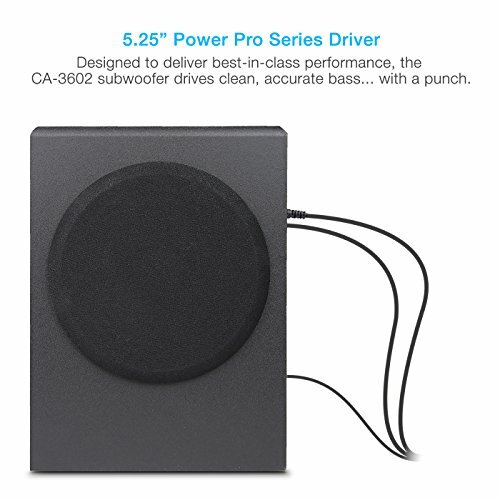 Ideal for music, movies and games. 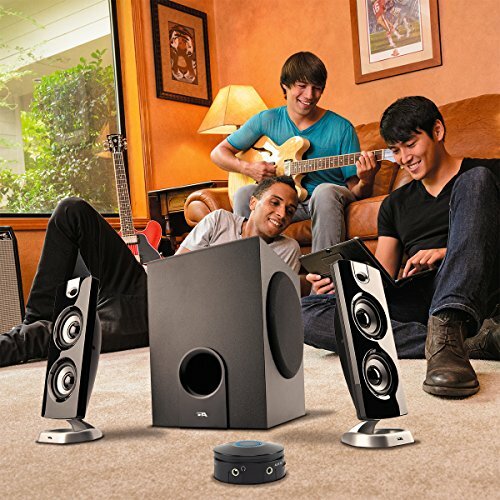 Kick back and enjoy quality sound you never knew you were missing. The dual 2 in. high-efficiency drivers per satellite, deliver crisp highs, while the 5.25 in. 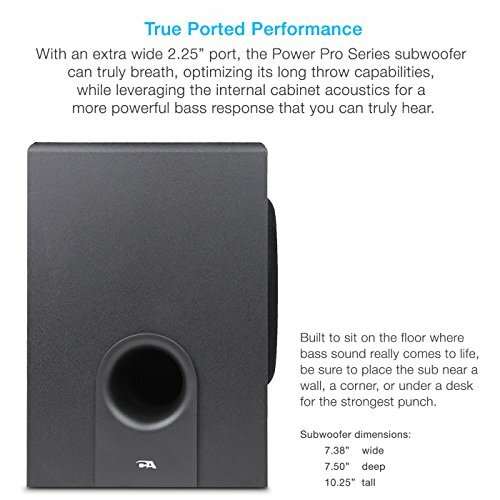 subwoofer provides booming bass with a punch. 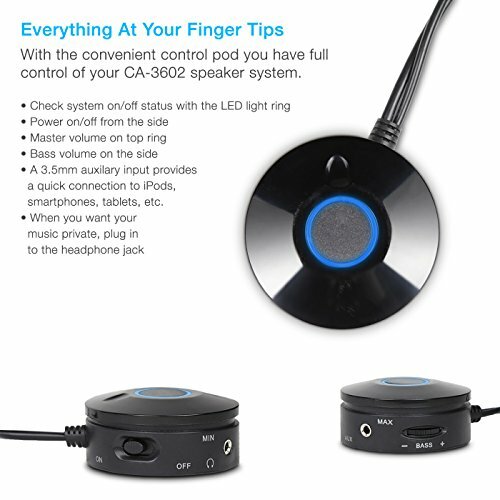 This speaker system comes with a convenient desktop control pod — designed to give you full control at your fingertips. The control pod has power on/off, master volume control, bass volume control, auxiliary input, and a headphone output jack. 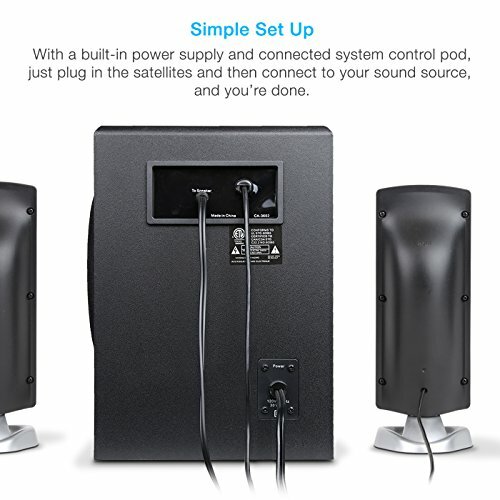 With easy set up and full 1 year warranty coverage by Cyber Acoustics, this speaker system is the best answer to an affordable audio solution you have been looking for. CONTEMPORARY DESIGN: Created to look great sitting next to today's flat panel monitors, the piano black finish on the satellites will blend right in.